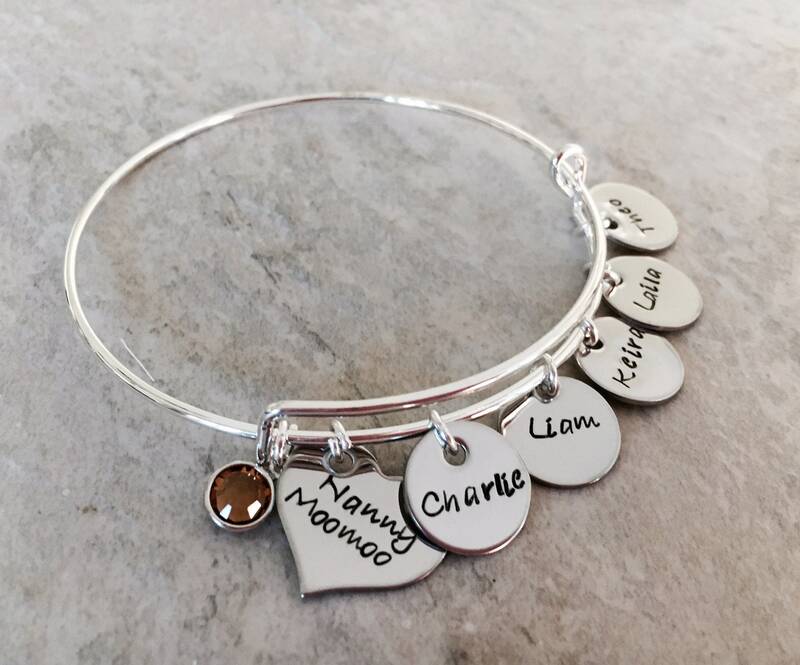 This sweet bangle bracelet makes a wonderful gift for a special mom, grandma, teacher, etc. ***TO PERSONALIZE: Please use the notes box found on the check out page to leave me the specifics for your bracelet. 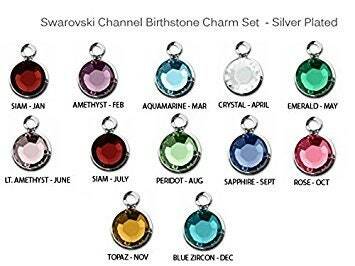 The heart charm can include 1 name and/or dates. Also remember to include the name(s) for each of the name charms you'd selected to include. If you have any questions at all, please do not hesitate to contact me! ****THE HEART CHARM IS AUTOMATICALLY INCLUDED. IF NO NAME IS GIVEN FOR THIS CHARM, "GRANDMA" WILL BE USED.